Build strong Christian character into the lives of children. Present a positive witness for Christ. Worship the Lord in song. Provide an exciting club meeting for each child. Each week Bible lessons, Scripture memorization, songs, character building activities and a wholesome game time are designed to work together to promote faithfulness and Godly character in our children's lives. In addition, each child will have an opportunity to serve the Lord by participating in programs and musical activities. 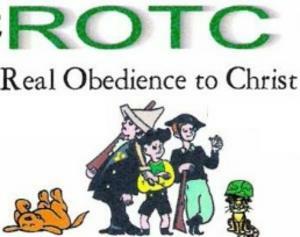 Through ROTC, each child will receive the benefit of both Biblical and musical instruction. If you would like to become involved in this exciting ministry, please call the church office for more information at 520-586-4408. We welcome your participation. The rewards are eternal!